Last week, the principal players for this year's fall play gathered on the Lampeter-Straburg High School stage. 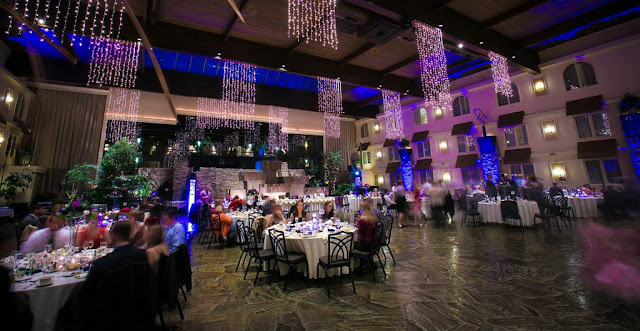 However, it wasn't for rehearsal. 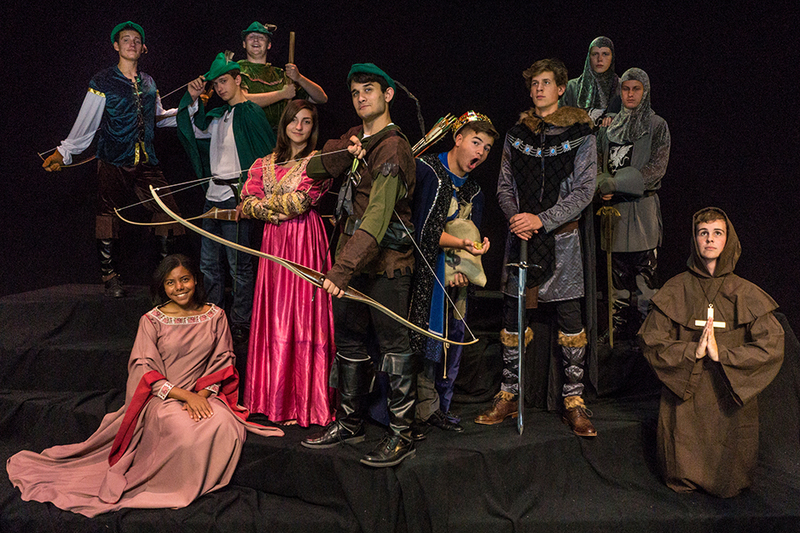 It was for a movie poster style photo shoot to create the poster for The Somewhat True Tale of Robin Hood. 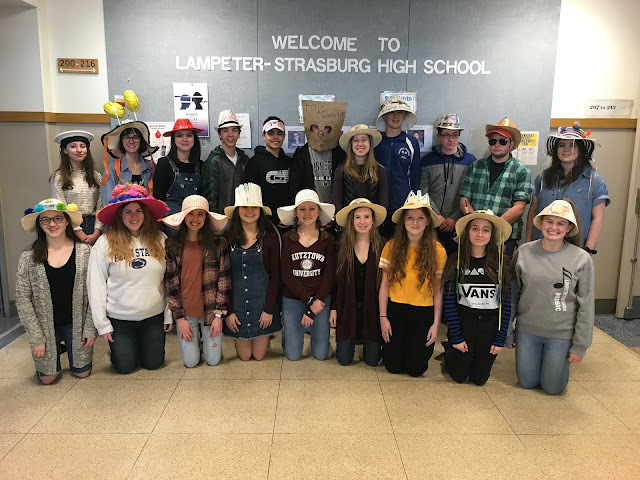 Creating an amazing poster is just one of the first steps in making this year's show the best attended fall play ever in Lampeter-Strasburg history. 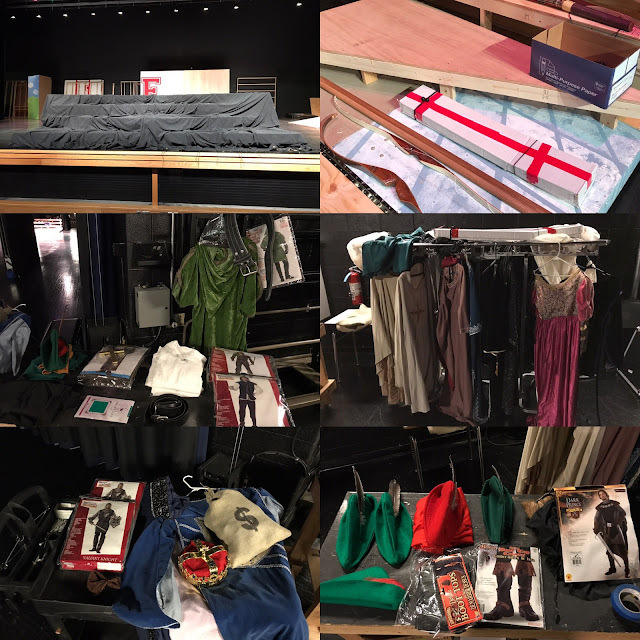 In preparation for the photo shoot, the cast needed costumes and props. There had been a discussion on renting costumes from Millersville University’s Costume Closet. But it quickly got expensive needing costumes for ten actors. Luckily even in the first week of September, Halloween is in full swing making costumes plentiful and inexpensive. Amazon ended up being the cheapest option. A key element in having a costumed photo shoot is having costumes. As the date of the photo shoot approached the stars aligned and professional photographer and L-S alumni Chad Harnish agreed to donate his time and talent to take the pictures for the poster. When Harnish signed on things went from amateur hour to legit. Chad Harnish working his magic. 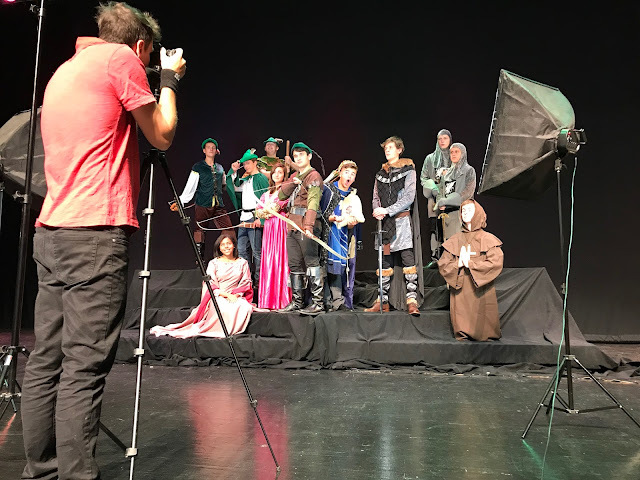 The photo shoot ended up lasting nearly two hours as the actors were photographed individually, as a group in front of a white screen, and again as a group in front of a black screen. Harish even volunteered to edit the images from the shoot. Later that same night he submitted this polished photo for the poster. With the photo in hand, all that was left was add it to the poster, which high school technology education teacher Mr. Adam Zurn had been working on since before the start of the school year. So without further ado here it is. 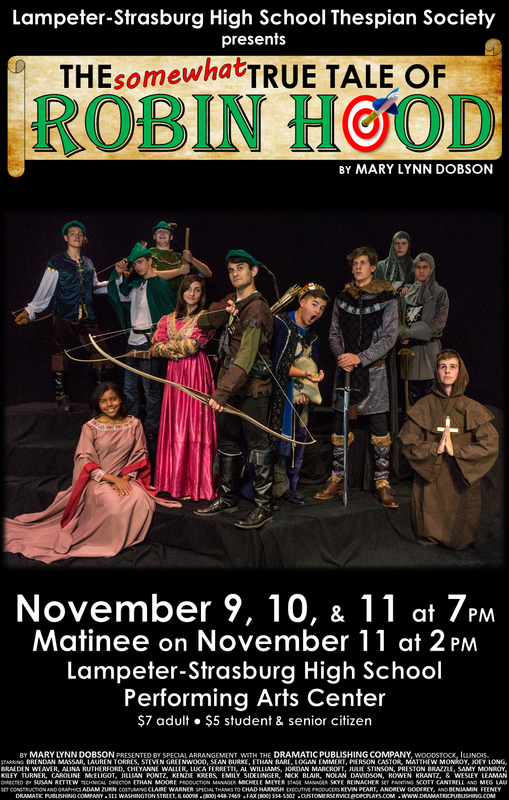 The official 2017 fall Play poster for The Somewhat True Tale of Robin Hood. Performances will in the Lampeter-Strasburg High School Performing Arts Center on November 9, 10, and 11 at 7 pm with a special matinee performance on Saturday, November 11 at 2 pm. If you locked Mel Brooks and Monty Python in a room, The Somewhat True Tale of Robin Hood is the fourth wall breaking, family friendly spoof you would get. In this hilarious retelling of the classic tale our gallant guy-in-green hero tries his best as swaggers through the show. However, this time around, the legendary outlaw, in his never-ending quest to aid the needy, encounters a lovely damsel-in-distress; an ever-scheming sheriff who would rather bowl a strike than hit a bull's-eye; a gold-hoarding, bad-guy monarch wannabe; and a good-natured "Town's Guy" who manages to make his way into every scene, whether he belongs there or not. Combine them with an expandable band of spoon-wielding Merry Men whose collective IQs equal six, and you've got an irreverent jaunt through Sherwood Forest you won't soon forget!